By avoiding these factors, you can significantly improve your gut health and take big steps toward healing our leaky gut. If you already know why gut health important, you may be wondering how to start healing a leaky gut. The good thing is that you can stop leaky gut in its tracks if you avoid some of the nasty habits that wreak havoc to your digestive health. You may not realize how much stress you place on your gut each and every day. Most of us know that what we eat can impact the health of our digestive system. Too many, however, remain completely unaware that their gut is also heavily affected by a myriad of lifestyle factors. Too many of us are unknowingly placing unnecessary and harmful stress on our gut and digestive system each and every day. The accumulation of stress caused by these harmful factors can lead to gut inflammation and digestive dysfunction. If left unchecked, this can result in tiny holes appearing within the lining of the intestinal wall, resultingin a common digestive issue known as Leaky Gut. Leaky Gut describes a state where the digestive system becomes porous, allowing undigested food particles, unhealthy bacteria, toxins and other harmful compounds easy entry into the body. This can lead to a huge immune system response, among a host of other health implications. Positively, a leaky gut syndrome is not a death sentence. By avoiding specific gut damaging factors, you can start healing a leaky gut immediately. What are the Signs Leaky Gut is Healing? There are a number of factors that can adverse effects on your digestive system and contribute to a leaky gut. These factors are both environmentally and lifestyle driven. They are known to cause significant irritation to your gut wall while also increasing inflammation throughout the entire digestive system. By avoiding these 5 gut-damaging factors, you can restore the health and function of the gut. We all know that smoking isn’t good for us. It’s well known for increasing the risk of developing cardiovascular disease, diabetes, and cancer. Interestingly, the act of inhaling cigarette smoke has also been shown to negatively impact the health of the gut. Exposure to cigarette smoke has been shown to cause a shift in the bacteria found in the gut. A reduced number of good bacteria within the gut combined with a large increase in bad gut bacteria can be observed in smoke-exposed individuals. Together with this bacterial shift, smoking also leads to a reduced mucin secretion within the digestive system. Mucin is a specific type of protein that causes the lubrication of the digestive tract (picture a thick goop that covers the entire intestinal wall), in which it protects the gut from harmful pathogens and physical damage. This shift in the state of the digestive system can result in an inability to break down large food particles and defend against harmful bacteria. This greatly increases the amount of physical damage incurred to the wall of the intestinal system, leading to a subsequent increase in gut inflammation – both of which contribute to leaky gut syndrome. It may seem like a rather simple solution, but the best way to avoid the harmful effects of smoking on the gut is to avoid smoke as much as possible. Over the last 50 years or so, technology has advanced at an incredible rate. While for the most part, this is extremely positive (Game of Thrones on demand anyone? ), there are some negatives associated. Namely the fact that our lives have become increasingly sedentary. We no longer need to put in any effort to commute. Many daily tasks that once required a lot of effort on our behalf, are now completed by machines. 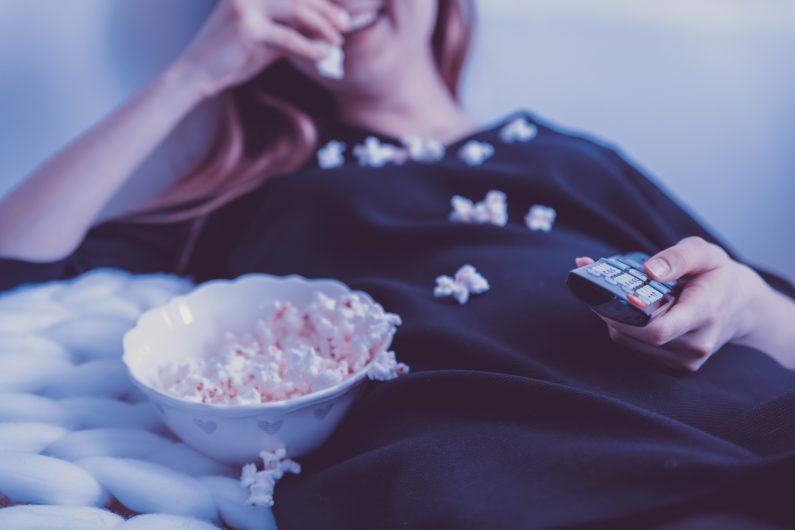 A sedentary lifestyle, unfortunately, has long been known to intensify our risk of developing disease and illness, while also showing strong associations with an increased risk of mortality. With this in mind, it should come as no surprise our exercise levels can heavily impact the health of the digestive system. Physical activity promotes an increase in blood flow throughout the body, including the entirety of the digestive system. Interestingly, the act of exercise also causes a large increase in digestion speed. Each of these contributes to a significant reduction in ‘transient stool time’ (essentially the time between us eating and…. well excreting ). You see, there is various harmful bacteria and pathogens found in the foods we eat (this is for the most part unavoidable). By speeding up this key digestive process, we see a reduction in the amount of time harmful pathogens spend making contact with the wall of the digestive system. This has been shown to cause a large increase in the health of the digestive tract. Considering this, recent research has demonstrated that those individuals who participate in regular physical activity have increased amounts of good bacteria within the gut. This comes with a much greater ability to digest and break down food, subsequently reducing the risk of developing a leaky gut. It is often recommended that you try and get in at least 150 minutes of moderate-intensity aerobic activity a week. This could mean going for 3-4 short bike rides, or a couple of jogs. The type of exercise you choose isn’t all that important, as long as you enjoy it and it helps you build up a sweat. Sleep is one of the body’s most important mechanisms of recovery. Unfortunately, too many of us do not get anywhere near enough of it. You see, the microbiota within the gut is in a perpetual state of flux, in which it is forever dying and being reproduced at a constant rate. A large portion of this bacterial renewal occurs during sleep, where the body is in an optimal state of recovery. If you have poor sleep patterns, we see a significant drop in the renewal of good gut bacteria. This can lead to a marked disruption of the microbiome, resulting in digestive dysfunction. Through this interaction, poor sleep patterns and associated reductions in sleep quality can lead to leaky gut syndrome. It may seem a little counterintuitive, but some medications have actually been shown to have negative health implications associated with their consumption. When talking about the digestive system specifically, the consumption of both antibiotics and nonsteroidal anti-inflammatories have been shown to disrupt the balance of bacteria within the gut, causing a reduction in good bacteria levels. This reduction of good bacteria can make the gut increasingly susceptible to harmful pathogens, leading to increased inflammation of the intestinal wall. Over time this can cause the gut to become porous, which is a primary factor for developing a leaky gut. Sometimes, you have to take medications. It is in your best interest, however, to think twice before you decide to pop a couple of aspirin for a mild headache or painkiller for lower back pain. Often these medications only treat the symptom of a greater problem. Seeking medical help may be a much better option in the long term. Chemical products appear in nearly every aspect of our day to day lives. Many of these have short-term benefits (for example, making it easier to clean the bathroom). Still, they are toxic to our health in the long run. On a day to day basis you can come into contact with hundreds of different chemicals. These include chemically derived disinfectants and detergents, pesticides and herbicides, and even beauty products. The intake of these chemicals has been shown to negatively affect the gut bacteria, causing a large alteration in the bacterial profile of the entire digestive system. This can reduce our ability to defend against harmful pathogens, increasing damage to the intentional wall. Through this rather harmful interaction, day to day chemicals can contribute to the onset of leaky gut. As such, choosing only naturally derived and environmentally friendly products can go a long way to limit the consumption of these harmful chemicals. Many of those who suffer from leaky gut syndrome are after a quick fix. (Considering the negative implications that leaky gut can have on our health, this is quite understandable!) While avoiding these factors can go a very long way to improving the health of your digestive system and healing your leaky gut, it may not result in immediate results for everyone. 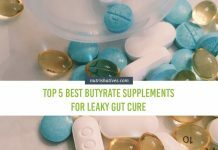 The rate at which a leaky gut heals is highly dependent on the current health state of your digestive system, and your personal ability to avoid key irritants such as those outlined in this article. With this in mind, for those individuals who are in the early stages of digestive dysfunction, healing your gut could be a mere matter of weeks. Unfortunately, for those individuals who have somewhat serious gut dysfunction (and most noticeably, a seriously impaired microbiome), healing a leaky gut could take months. It is for this reason that the maintenance of gut health is so very important. 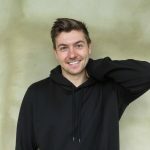 Avoiding the 5 key factors outlined in this article is the initial step to healing a leaky gut. It is, however, not the only thing you must do to heal your leaky gut. There are specific dietary factors you can adjust. This includes eliminating those foods harmful to the health of the gut entirely from the diet, while prioritizing the consumption of foods beneficial to the function of the digestive system. The inclusion of both prebiotic and probiotic supplements can also make a difference in the maintenance of optimal digestive health. For more information on these topics, look out for our future blog posts looking at each of these areas in much greater detail, giving all the information required to heal gut health fast. There is a specific digestive test (known as an ‘Intestinal Permeability Test’) that can provide you with the assurance that your leaky gut is on the mend. Unfortunately, this test is quite invasive and expensive to perform. If you find yourself improving daily basis, you can safely assume that your leaky gut is mending. While this isn’t as accurate as a specific test, it’s an easy way to track changes in your gut health. There are numerous lifestyle and environmental factors that can cause leaky gut syndrome. By avoiding these factors, you can significantly improve your gut health and take big steps toward healing our leaky gut. If you have had any experience with leaky gut, share them with us and our readers! Write a comment below and let’s learn from each other! Next articleLeaky Gut Foods to Avoid: 5 Foods to Remove from Your Diet Today!